Sad times for Royal County GAA. Earlier in the week Brian Smyth, captain of the Meath 1949 All Ireland winning side, was laid to rest in his native Batterstown. Today we report the death of his teammate, the outstanding full back Paddy 'Hands' O Brien. 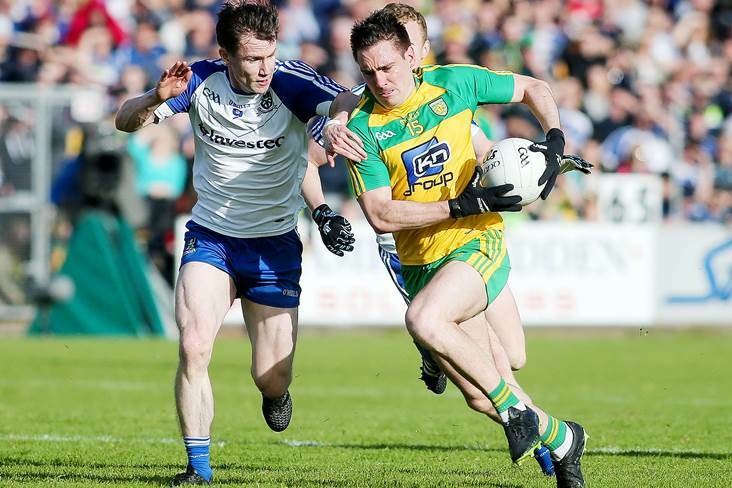 Paddy was on the edge of the Meath square as the Royal County followed up that 49 win, the counties first when neighbours Cavan were beaten, by outscoring Kerry in the 1954 decider. With his cousin from Skryne, Miceal O Brien in the number two jersey and Kevin McConnell at left full, Paddy 'Hands' formed probably the greatest full back line in the history of the GAA. In 1984 when the GAA sat down to pick their Team of the Century, the Skryne man was an automatic choice in the number 3 jersey. Ironically Paddy 'Hands' commenced his inter county career as a midfielder but was soon converted to a King of the Square. Both he and Miceal were the midfield patnership in the NFL final of 1946. 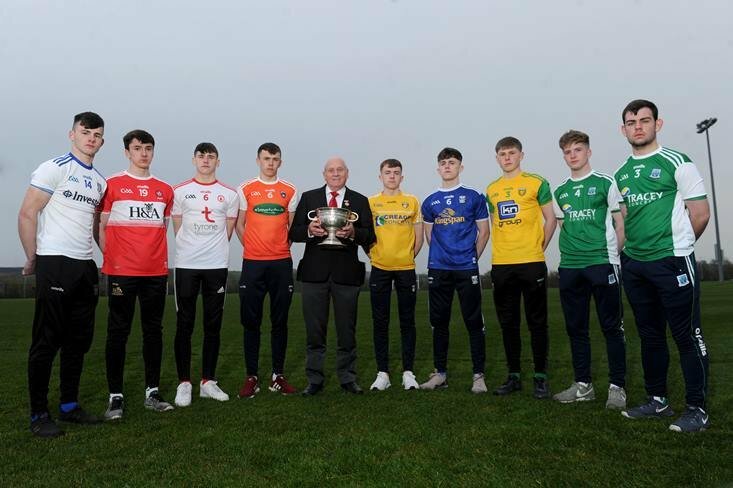 Old timers will tell you that when a high ball dropped in and around the Meath goalmouth during those halycon days of Royal County football in the late forties and early fifties, that there was only one outcome i.e. Paddy O Brien soaring high and emerging with possession to make a long relieving clearance, much to the approval of the Meath support. 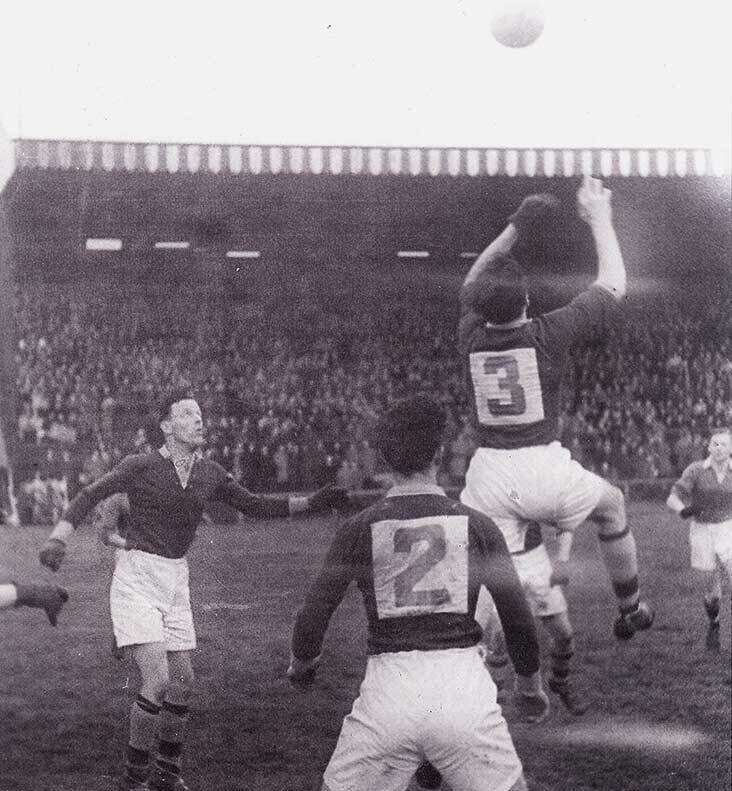 In a star studded career Paddy O Brien represented Leinster on numerous occasions, was chosen on All Ireland selections, gained NFL medals during 1946 and in far away New York in 1951 and won numerous Meath senior championship titles with his beloved Skryne. He also featured on Meath teams which lost All Ireland finals, to Mayo in 1950 and against Cavan after a replay in 1952. A giant among giants. When the team of the century was announced in 1984 to commemorate the founding of the GAA, Skryne's Paddy O'Brien was selected in the full back position. 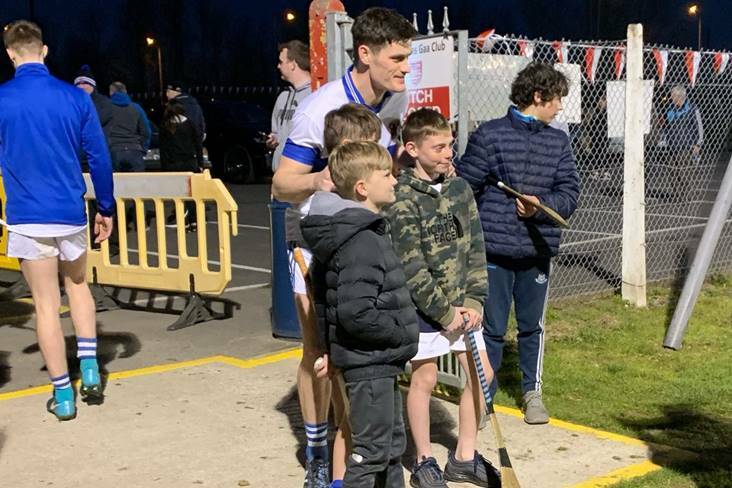 It was a fitting reward for a man who had in his own county full backs of the calibre of Jack Quinn, Mick Lyons, and Darren Fay following in his footsteps. Paddy and his six brothers - Mikey, Vincent, Shamie, Cyril, Donal, Colm - and sister Carmel were born on a farm at Scalestown in the parish of Skryne. In his memoirs, featured in the Irish Press in 1956, Paddy mentioned his love of running through the fields and jumping wide ditches after the day's work was done. The self imposed excerises were to prove immensely beneficial to the legendary high catcher on the football field in later years. His repertoire of talents made him the best not only in the green and gold but throughout Ireland. It had to be linked to his miraculous catching of the high ball around the square where no full forward could compete with him. He could spring for the ball from a standing position without the facility of a short run. Paddy's kick outs were all of sixty yards every time, and in many a game he sent the fifties over the bar. Although one of the cleanest full-backs ever to play the game, his height and strength were great assets when he brushed through the opposing forwards to clear down field. He started his football career in Skryne National School under the tutelage of school master Brian Smyth. Paddy perfected his skills at the half hour lunch breaks each day where some of the matches were more exciting and hard fought than many a county final. Paddy made his debut with the Skryne seniors in 1942. He was at corner forward when Donaghmore defeated Skryne in the county final. Skryne came back to win the title in 1944 after three exciting games with Navan Parnells in the final and Paddy was one of the stars in the three games, scoring a goal and a point in the last match. Skryne retained the title in 1945, beating Oldcastle in the final and once again star of the show at midfield was Paddy O'Brien. He was no mean exponent of the small ball game either, turning out for Oberstown in the senior hurling final of 1945 when Kilmessan won the title.. The war years of the early forties when minor competitions were suspended prevented Paddy from proving himself. Therefore he made his senior debut on the Meath team at the tender age of eighteen. With the National League in abeyance, Paddy had his first game against Louth in the Leinster League at Dundalk in 1944. 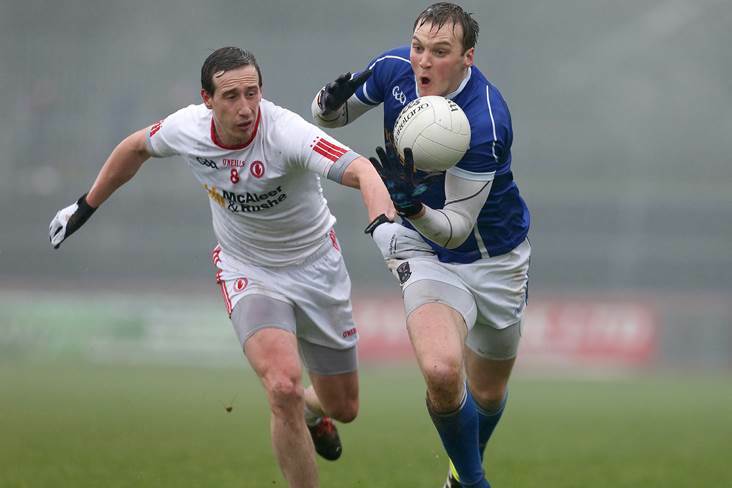 The Skryne starlet started at midfield, but the over anxious youngster could do nothing right. Soon he was on the move to the forty and then to the wing, and finally to full forward with Louth controlling the game and time almost up. The big Skryne man scored the equalising goal to secure victory in that section of the league. It encouraged the selectors to give him another chance in the green and gold. After a few more less than successful outings, Paddy was selected at midfield for the Cairnes Cup final against Louth in November 1944. After giving an inspired display and scoring a goal he was a Meath regular from that day on. Meath won the game 4-4 to 2-2 with Peter McDermott scoring two great goals. Success came early for Paddy with a National Football win over Wexford in the 1946 final. He partnered his cousin Micheal at midfield in that match. In 1946, work commitments brought Paddy to Dublin. He threw in his lot with the famed Sean McDermotts where his brothers Vincent and Cyril also played along with Christy Hand. It was a great honour for Paddy to captain Sean McDermotts to win the Dublin senior championship in 1947. With a trip to New York the prize for the 1947 championship, Meath made a bold bid to qualify winning the Leinster title with Victor Sherlock partnering Paddy at midfield. The men from the Kingdom stopped the Royals in the semi final with an emphatic win. A defeat to Louth in 1948 stalled Meath's progress but were not to be denied as they had the nucleus of a great team. In 1949 Paddy's ambitions were realised when Brian Smyth brought Sam to Skryne for the first time. There were some heart stopping games along the way before the celebrations began. The 1949 campaign found Paddy O'Brien starting an almost new career on the Meath team. It happened by accident when Meath played All Ireland champions Cavan in the National League in Breffni Park. One of the cars bringing the team failed to arrive, it had broke down on the way. The absent players included Paddy Meegan, Bill Halpenny and veteran Skryne and Meath full back Matt O'Toole. The team had to be reshuffled and Paddy found himself at full back a temporary measure. 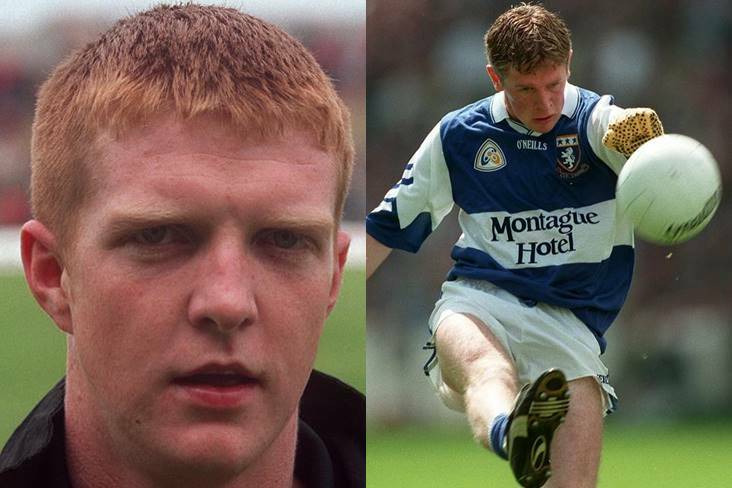 The man facing him that day was none other than famed full forward, and the Babe Ruth of Gaelic Football Peter Donohue. It is history now that Meath were well beaten that day but more significant was the fact that Paddy held Peter Donohue scoreless. 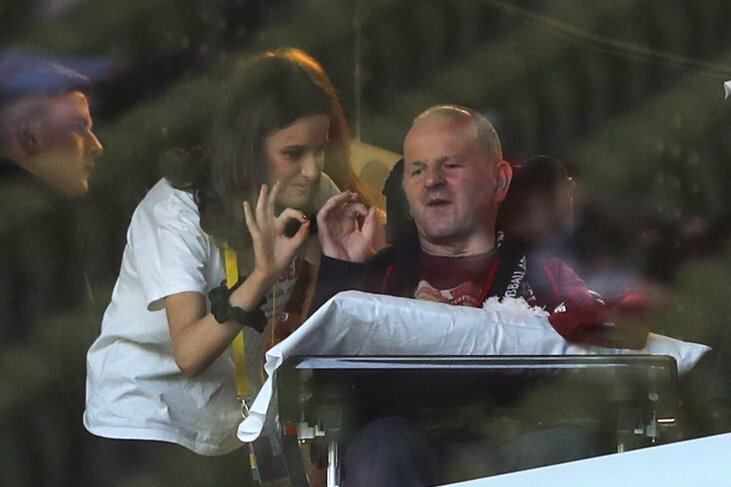 After the game he was congratulated on his performance by the great John Joe O'Reilly. From that day until he retired, Paddy was the Meath full back. Meath won the Leinster title in 1949 after three close games with Louth. Paddy had an outstanding game in the final match clearing countless times from the Louth forwards. Westmeath were easily defeated in the final. The meeting with Mayo in the semi final was the first outing for the famed full back line of O'Brien, O'Brien and McConnell. Paddy's cousin Micheal had been sent off in the second match against Louth but was now available for selection. In a moment of inspiration, the selectors slotted him in at right full back and so began that famous line. 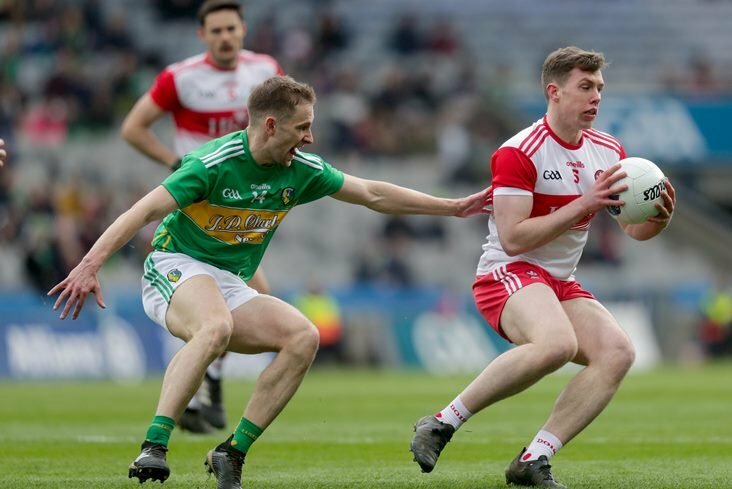 It was a baptism of fire for the three lads because the favourites Mayo bombarded them with attacks from all angles, but the great line held firm. This was one of Paddy's greatest displays, under pressure he caught, blocked and cleared the ball in unbelievable fashion. After that great win over Mayo, Meath were in the final for the first time in ten years against neighbours Cavan. It was a historic win for Meath over the Breffni men, and the legendary stories of those great men who brought the first ever title to Meath will continue until the end of time. Paddy's career continued unabated in the early fifties, but he endured two All Ireland defeats in 1951 to Mayo and 1952 to Cavan. In 1951, Meath won the National League home final beating Mayo, thus qualifying for a trip to New York and a meeting in the final proper with the hosts. In a close game Meath won the title 1-10 to 0-10. The commentator for this match John 'Lefty' Devine christened Paddy 'Hands' an appropriate name for the high catching Skryne man. On a personal note, I remember listening to this match standing on the dresser to try and hear the match over the crackling noise from the old dry battery wireless. The men from the Wee County curtailed Meath's run in 1953, but Meath were back in 1954 with some new recruits winning the Leinster title and qualifying to meet Kerry in the All Ireland final. Kerry were All Ireland champions and favourites to win. Paddy was doubtful for the match with a carbuncle on his neck. It was touch and go whether he would make the match. 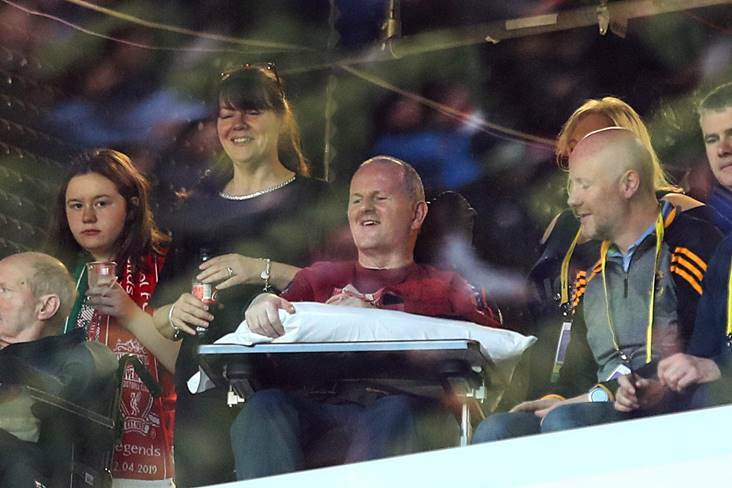 He turned out complete with bandaged neck a played a storming game. 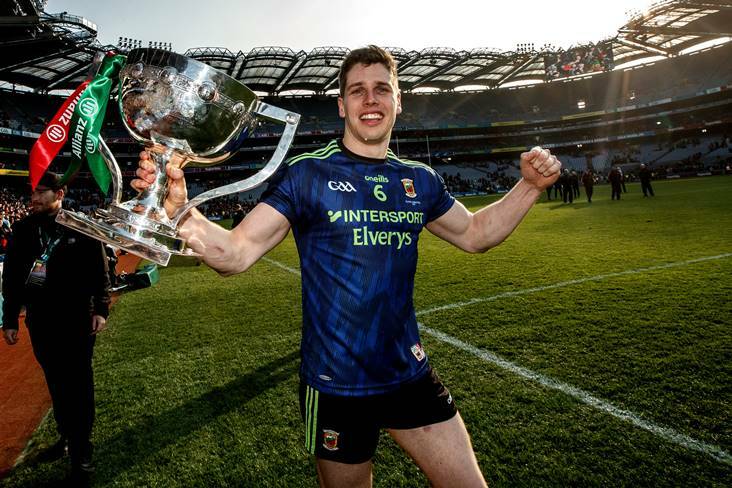 The Sam Maguire was returning to Meath for the second time with Peter McDermott as captain. There was talk of retirements but the old firm in the full back line kept going for another year. A good run in the National League saw Meath in the final again but waiting in the long grass were Dublin. 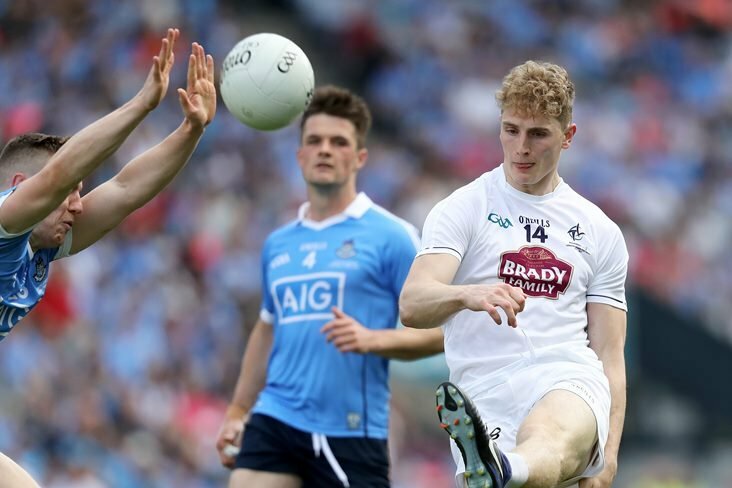 Meath had thwarted the Dubs on more than a few occasions in the early fifties, but this time it was a different story and Paddy and his comrades suffered a big defeat. Meath got through the Leinster championship with some difficulty and in the final, barring the way were Dublin. The loss of Micheal O'Brien through injury in a club match was a bad blow for Meath. The Dubs ran riot once again and Old Father Time caught up with Paddy and the great Meath team. Paddy played for Ireland against the Combined Universities in 1950, 1951, 1953 and 1955, a marvellous achievement. Paddy O'Brien became the first man to be honoured by the Royal Meath Association in 1973. He received the Hall of Fame Award not only for his football ability but for his sportsmanship and setting a fine example for the youth of the day. Master of the small square. Paddy 'Hands' (3) about to pluck another ball from the clouds as Micheal O'Brien (2) and Kevin McConnell look on. 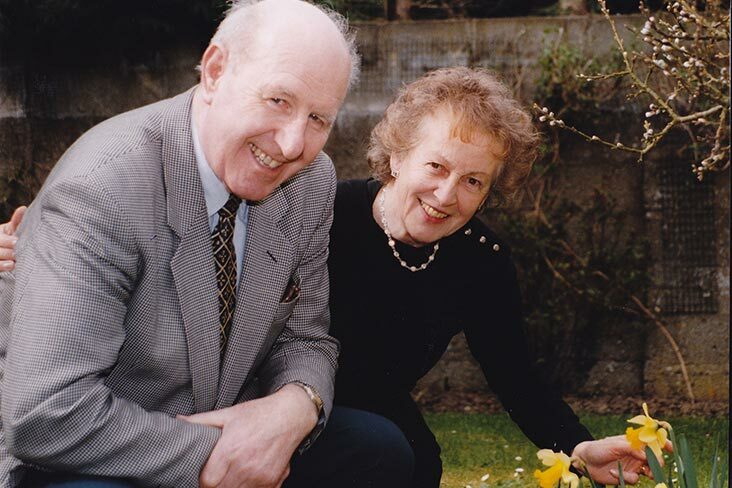 O'Brien, Paddy (Santry Close, Skryne Co. Meath and Meath GAA) - 26th March 2016, peacefully at Beaumont Hospital, cherished husband of the late Kay and much loved father of Padraic, Garry, Tony, Gabriel and the late Mary Philomena: Paddy will be sadly missed by his loving sons, daughters-in-law Mary and Joan, grandchildren, his loving sister Carmel, brothers Cyril, Donal and Colum, brother-in-law, sisters-in-law, nieces, nephews, extended family, relatives and his many friends. Reposing at home on Tuesday afternoon from 2 o'clock until 5 o'clock prior to Removal to the Church of Our Lady Queen of Heaven, Dublin Airport arriving at 6.30 o'clock. Funeral on Wednesday morning after 11 o'clock Requiem Mass to Glasnevin Cemetery.